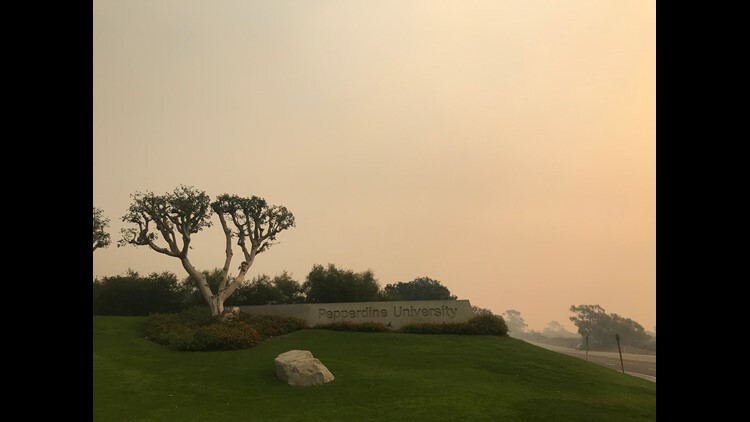 Officials at Pepperdine cleared the students to leave the campus Saturday morning and canceled classes until Nov. 13. "With flames extinguished around campus, all individuals on campus are safe and unharmed. I am profoundly grateful for the swift work of LAFD, LASD, and our student care teams and for the patience and cooperation of our incredible community, Benton said on Twitter. "Prayer is good, too."